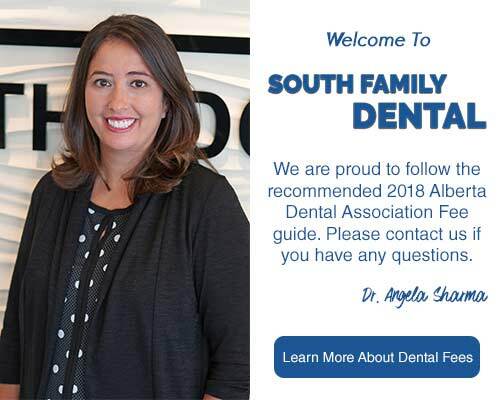 At South Family Dental, it is always our goal to offer the best service, yet remain competitive by offering fair and reasonable dental fees to our patients and their families. 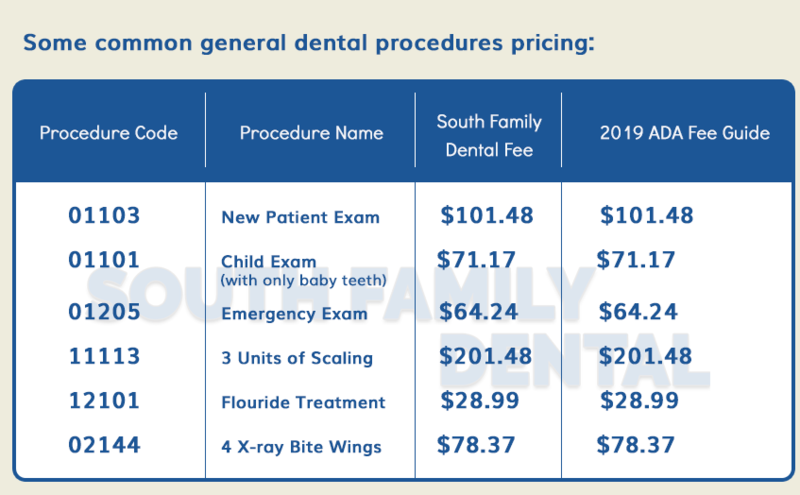 That is why we follow the NEW 2019 Alberta Dental Association Fee Guide. 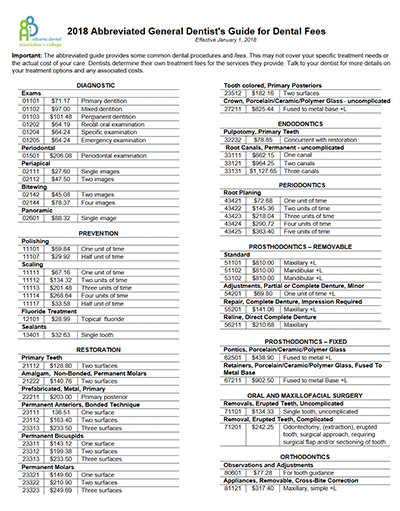 At South Family Dental, we feel it is important that you understand your own specific dental insurance policy. 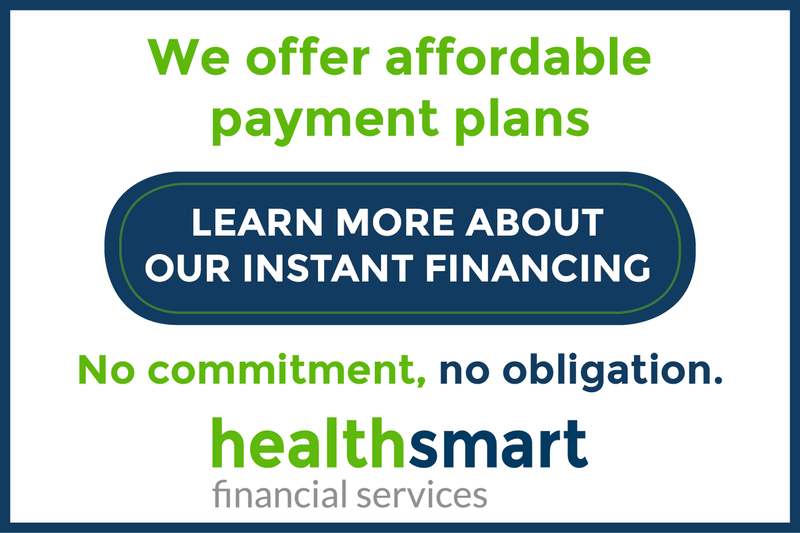 Since dental insurance companies can decide the individual maximum amount that they will cover for any particular dental procedure. We feel we need to make you aware that the amount covered could be less than what is suggested in the 2019 Alberta Dental Fee Guide. Also, we ask that you are aware that not all procedures are necessarily covered based on your own specific dental insurance coverage. please call us at (403) 262-3235!